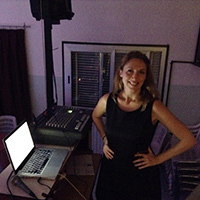 HAPPY BIRTHDAY/CHRISTMAS MILONGA - 20 December 2014 - FREE ENTRY! 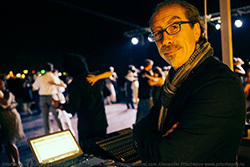 tango Database - Unrestricted access for TANGO-DJ.AT members! So, since a day has got only 24 hours and a week 7 days, there is not enough time to take proper care of extensive construction work as well as of all tango issues. So I had to skip a monthly newsletter - sorry for that in case you were wondering. We are looking forward to welcoming two great DJs - Tina Ferrari and Giuseppe Clemente - for our upcoming MILONGA WEEKEND VIENNA 28/29 NOVEMBER! 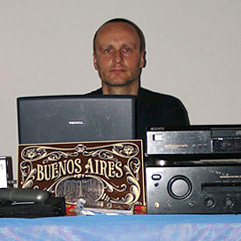 And another one - DJ Christoph Lanner - for our HAPPY BIRTHDAY/CHRISTMAS MILONGA on 20 December 2014! Stefan Ludwig made another fantastic Trailer for our ALPINE ABRAZO event in October. As far as tango music is concerned we have exciting news about restocked AMP CDs and the new CTA September releases! And there is some very special stuff for members only. Also for members only there is new unrestricted access to our tango database! I hope that you enjoy this month's newsletter. Please feel free to share it or the TANGO-DJ.AT website with your friends or other tango enthusiasts. Admission to our Milongas is 10,- EUR. There is no reduction for late arrivals and there is no standard guest list. You will receive a bonus card. If you fill in your name and bring it to our events you will benefit from a free entrance after completion. If you like our event and you want to support it on a regular basis please get in contact with us. You may become part of our team and benefit from free entry. We want to say thank you to everybody participating and supporting our MILONGA WEEKENDs VIENNA with this HAPPY BIRTHDAY/CHRISTMAS MILONGA! Please feel free to bring and share some (preferably) homemade food of your choice. Donations to help cover the costs of expenses will be greatly appreciated. Stefan Ludwig has done it again! A fantastic trailer for our ALPINE ABRAZO 2014! Thank you so much Stefan ! 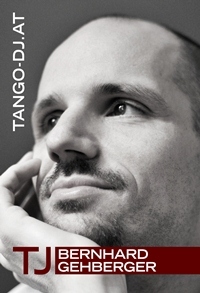 We will give our TANGO-DJ.AT members a purchase opportunity for a limitd period before adding them to our public shop for 37,- EUR. The latest CTA releases are available at our TANGO-DJ.AT/shop for the fantastic price of 33,50 EUR for a short time only! Despite the fact it covers the year 1939 only the Lomuto CD seems to be a best of compilation! And almost all of the transfers are in much better quality than anything available otherwise worldwide. It's a must-must-have! De Caro is De Caro. All of the recordings are playable, almost all in best quality available and some of them quite rare. The Canaro CD is another must-have - it's that simple. We are very happy that André made some more compilations available. If you have thought that you have an extensive collection and there are hardly any new tangos for you to find - then those compilations are for you! We do have an extensive collection, but almost everything on those compilations could be added as new transfers. As before we make those available to our TANGO-DJ.AT members. For various reasons we have to restrict queries on our tango Database to 300 results. As another special goodie for our TANGO-DJ.AT MEMBERS we offer them a special basically unrestricted access to our database of almost 60.000 records! For performance and memory usage reasons results will be limited to a maximum of 6000 entries, which is enough to see all recordings of the largest and most active orchestras at once.